New train services September 2019. Thanks for sharing the video. Shame there is no explanation as to why the train service is 9 months late against the original schedule of Dec 2018. Also rather disappointing to see that we have yet more months of waiting for the extra train service to start - it's one I'll actually use and am waiting for. I was a little disappointed when he said September for the service to start. The worry i have is the infrastructure maybe complete in May but then there are still several months of testing. Im not sure on GAs fleet availability so i assume the extra STAR service is going to be operated by the new Aventras. If that is the case then it could be several months of testing for these units so I'm apprehensive of a September. Happy to be corrected (reassured) if that not the case. Also how overloaded will the existing 2tph be between May and September as people begin to use the new Meridan Water on existing services ? Not sure about the train fleet disposition to be honest. I can't see that it is dependent on new trains arriving given the original date of Dec 2018 was long before any new trains were due. No one is yet clear about how the new service will run - i.e. 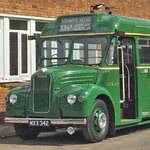 standalone shuttle or interworked with the Bishops Stortford / Hertford E service. *If* there is a dependency on the Aventras arriving then to be honest we're screwed! No one knows when the units for TfL will be certified and in use and Gtr Anglia's trains are stuck in the queue. *If* TfL can get its 710s into service on West Anglia this Summer then there would be the possibility of GA taking back a couple of the ex Stansted Express 317s for use on the shuttle. They're not brilliant trains but GA are at least familiar with the stock so there's no traction learning issues. This is only if GA can't resource the shuttle from its own resources. It is just worth making the point that Meridian Water will open in May - it has to because Angel Road is closing. However all that happens is that the existing peak hours service transfers to Meridian Water. The station will be unserved off peak and weekends!! That is clear in the closure agreement letter just issued by the DfT. It would be nice to imagine that there would be a better service at Meridian Water but that is not what the DfT service specification requires. I'll freely admit that I completely misunderstood it and thought that Meridian Water would have 4 tph (2 shuttle, 2 main line) but it doesn't. It only gets the shuttle plus the existing peak time workings so a big new station will sit there with two platforms (on the main line) unserved all weekend and most of the day M-F. I am sure DfT would argue that there isn't the line capacity to stop trains off peak but I don't believe that I'm afraid. This is all because of the need to preserve the clockface Stansted Express service - everything else is subsurvient to that. I must admit to being puzzled about a September start date as that is not a normal timetable changeover date for London area services. Some seasonal Summer only services on main line routes run May to September but the WAML is not exactly a thriving tourist route. I have not come any proposals to amend any bus routes in conjunction with the opening of Meridian Water station. As GA have depots at NP and NX, they could run a route from both garages, possibly numbered 334, linking Meridian Water with Canada Water!! Well there will only be a half hourly service most of the time to Meridian Water. Only in the peaks will trains on the main line stop there. It makes the whole thing rather farcical to be honest when you see the scale of the works in some places for such a poor service level. It shows the palpable lack of understanding of London travel patterns on the part of the DfT. If your travel times coincide with the train it'll be fine but who wants to wait for 29 mins when there's a bus to T Hale every 10 minutes? If the train service had been more frequent off peak and weekends (and there's little reason why it can't be) then I'd agree that TfL possibly would look to amend the bus links. We know there are plans for expansion including an extra route from T Hale to the Meridian Water housing development when it is actually built. I'll politely ignore your suggested bus route. Courtesy of a post on Railforums UK it is now possible to get a clue as to the service level from Meridian Water and Stratford after the STAR service commences on 9th September. There are links on the above link to the Realtimetrains site showing the times. Sadly the service is as dreadful as I feared in the peaks with 20-30 minute gaps which is ludicrous given the cost of the scheme and how little in terms of capacity has been delivered. A passing loop and extra platform at T Hale would have worked wonders. Off peak M-F the service looks more rational with 14/16 min headways between Stratford and T Hale which are tolerable. Shame they couldn't manage a straight 15 min headway. The service out of Meridian Water itself is also not exactly stellar with half hourly headways and a smattering of M-F peak extras. It's not yet possible to confirm the weekend service on Realtimetrains but it's supposed to be half hourly to / from Meridian Water. Sadly the service is wholly in line with the DfT service requirement that allows for those ludicrous gaps and paltry weekend service level. We wouldn't have this nonsense if TfL was specifying the service. Why on earth mainline trains can't stop at Meridian Water off peak and at weekends I know not. There are far fewer trains running than in a M-F peak when they *do* stop at Meridian Water. This suggests there is pathing capacity available. You don't even get a proper all stations service as some stoppers skip Northumberland Park and others skip elsewhere. Sadly the Stansted Express skews the entire timetable. I take your point about Meridian Water development but Enfield Council took the DfT to court over the specified service level saying it was putting Enfield Council in default of its development agreement with house builders. They had expected a 4 tph daily service. Enfield lost the case. There is no planned uplift during the entirety of the Greater Anglia franchise. In fact line capacity will probably get worse on the mainline because it is not clear whether platforms can take 10 car Aventra trains (longer than 8 car 317s). Furthermore it is known 10 car Aventras will NOT fit on the Hertford East branch which could mean that route has to suffer with 5 car units meaning train paths are woefully underused and trains equally woefully oversubscribed. Under capacity Hertford East trains will screw the service for people at Ponders End, Brimsdown and Enfield Lock. The final nail on the coffin is concern about dwell times for the new Stadler EMUs which have one door per car - dwell times at places like T Hale are already pretty long and will likely get worse with the new trains. None of this bodes well for service expansion. I agree there are also infrastructure weaknesses in the STAR project but the scope was pared down and down to the bare minimum that the budget could support. Worse the actual design in places prevents easy expansion because electrification masts and other things are in the way. That just creates a load of unnecessary cost and work at some point in the future. How on earth that was allowed to happen is beyond me. Finally we have a design that almost certainly prevents the reinstatement of the Coppermill curve that would allow a Chingford to Stratford service. That's woefully bad too as I'm convinced such a service would be *very* popular. If it is the case there are no plans to improve the services from Meridian Water, then at some point there will be repeated scenes similar to that seen on the Essex Thameside lines. I can only hope GA looks to reduce the 720s from 5 car to 4 car, in an attempt to retain route capacity on the Hertford East branch until permanent infrastructure works is scheduled (if it ever is). Has the Hall Farm curve been blocked ? The high amount journey patterns from Waltham Forest into Stratford should be an indicator to the DfT to reinstate this route. This project would really help relieve the increasing pressure on Leyton Station. NR / DfT / TOC really just coexist poorly. Does Chris Fallings plans for closer relationships between NR and future TOC mean less interference from DfT? Or does nobody really at this point? Yes there probably will be serious problems but there is a complete disconnection between local development planning and the DfT franchise scoping process. There are tens of thousands, possibly over 100,000, of new residences going up in SE London alongside the South Eastern franchise routes. DfT have NOT updated their demand numbers to reflect this so the specified train services, already inadequate and overcrowding, will NEVER be able to cope with what is coming if those new flats and houses are fully occupied and the residents need to use the trains. It is a disaster waiting to happen. Anyway the rumour is that the refranchising will be abandoned this week with another direct award to Govia for several more years. The Williams Rail Review is cited as the "Justification" for delay whereas the reality is that the bids just don't work because of massive concern about Brexit / economic damage wrecking the farebox predictions. No operator and none of their funders will take revenue risk in those circumstances and politically Grayling will NOT want to have another GTR form of contract on his plate. It's just another enormous disaster on his watch. In some respects TfL dodged a massive bullet when Grayling refused to devolve the SE suburban routes. In classic Grayling style he has, of course, shot himself in the foot because he remains in charge and can't find a way out. You cite C2C. Well another massive mistake is being made there. A new station, Beam Park, has been approved for construction by 2022. The line via Rainham is already at capacity in the peaks but thousands of new residences will be added at Beam Park thus overloading a line that is at capacity. Worse the timetable is already severely constrained now which means there is not flexibility to cope with a new station. And EVEN worse the Barking Riverside extension compounds that problem because it needs paths on the line east of Barking. The final disaster is the volume of freight on that route - it's already considerable and is likely to grow. If there was any sort of plan the line would be earmarked for resignalling to allow an intensified service to run reliably plus a massive rebuild of Barking Station (not just the ticket hall) and a view being taken about higher density, longer high performance rolling stock for C2C to allow more people to fit in each train PLUS allowing the rolling stock to take advantage of the new signalling capacity. Such holistic thinking is outwith the DfT's capability. Anyone with rudimentary knowledge of how development and transport should work together understands this sort of thing. I have no idea what the DfT inspired rail review will decide. Grayling already believes he doesn't run the railways when he is actually wholly and entirely responsible for them in political and financial terms. There is little precedent in government circles for power and control to be given away. It just doesn't happen except in exceptional circumstances like Blair's post 97 government that did a lot on devolution. Perhaps in hindsight too much given what's happen to Labour's vote in Scotland? We are in a political disaster zone now and are likely to remain there for at least 20 years because of Brexit. There is next to no prospect of rational domestic policy making from either Conservative or Labour if either were to be in power. The economy and living standards will ALWAYS dominate, short of war or civil disobedience, so anything that affects them will obsess policy. Transport, and especially public transport, is so far off the radar screen politically as to not be a factor in political thinking. How else could Grayling effectively stall all decision making on rail for the best part of 5 years?